There is a lot of good information here if you are interested getting into Unmanned Aircraft. 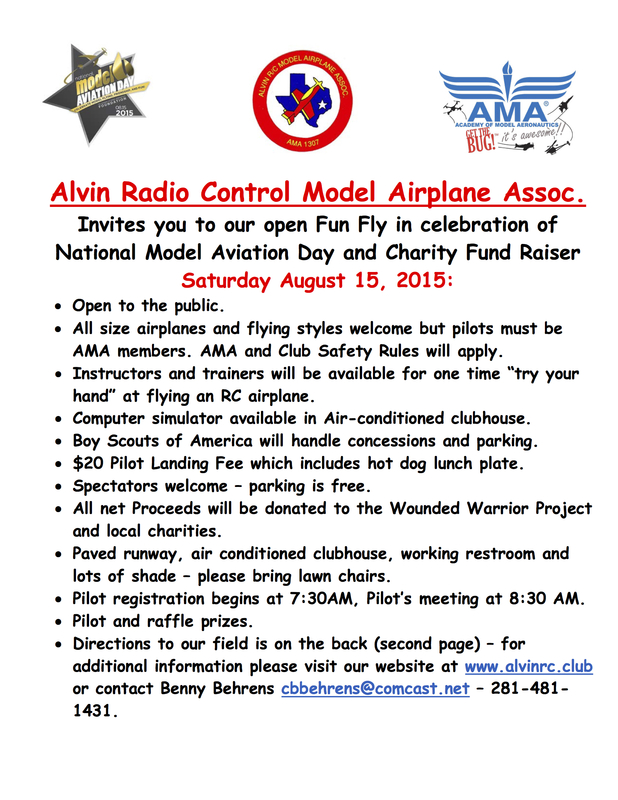 Saturday, August 15 is National Model Aviation Day across the country. It is a charity event that supports The Wounded Warrior Project and local charities. The event will be a simple fun fly for any type or size airplane. There will be plenty of flying and food will be served by local Boy Scouts.